Wash zucchini and cut into 0.5cm thick rounds. Mix and toss well the zucchini rounds, herbs and seasonings in a bake ware. Preheat oven to 170 ℃. Roast for 3-5 minutes. 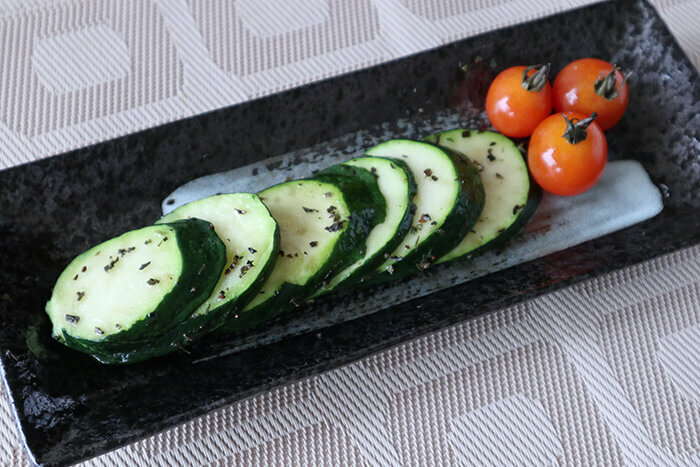 Flip zucchini at least once during roasting, until slightly charred on both sides. To retain the crispy texture, do not cook zucchini for too long.